You are quite the adventurer! The food looks flavourful, but I am not familiar with Persian food or the spice profile of it, so really have no idea of what it might have tasted like. I have also never tasted a preserved lemon. Did you have a bit of it? …. you say “with good reason” you were told only to take little bites. Was it horrid? I have been charmed enough by them to make some once – which I threw out… but, think I also had the wrong lemons… and maybe they were “good” as I have never had any. I didn’t like them at all. They’re pickled in salt, so you get a slightly salty/sour lemon taste. Biting into one was just as sour as biting into a regular lemon. I think most cooking uses preserved lemons in slices or just squeezes out a bit of the juice; I certainly didn’t expect to have a whole lemon in my bowl! They’re only for savory cooking, not for sweet baking. I’ve heard that using Meyer lemons can make it more mild. What kind did you use? I think Persian Food has so much more appeal than what they serve us here. 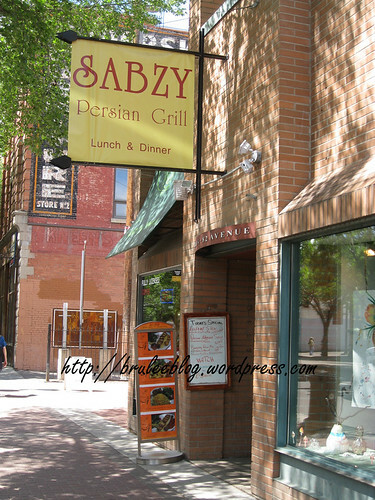 In Europe (due to proximity) there are plenty of Persian restos and the food was always good. 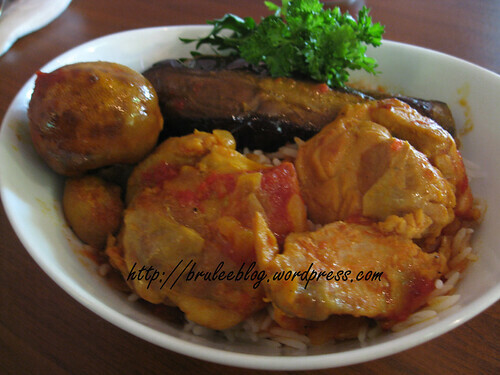 Oh Peter, the food I had in Morocco! I’m still dreaming about it. I have been to this Restaurant 4 or 5 times over the last 3 or 4 years, and every-time I ate there I was disappointed. The food didn’t taste good and the price was high for what it is. I will never go back again.